“Merzouga”, if you were familiar with Arabic language, you would probably know the word’s meaning of Merzouga. It means grace with blessing. Dear reader, do not expect here that we are going to discuss similes and metaphors of literary Arabic language. However, our subject is very different talking about the land situated in the Southern-East of Morocco. 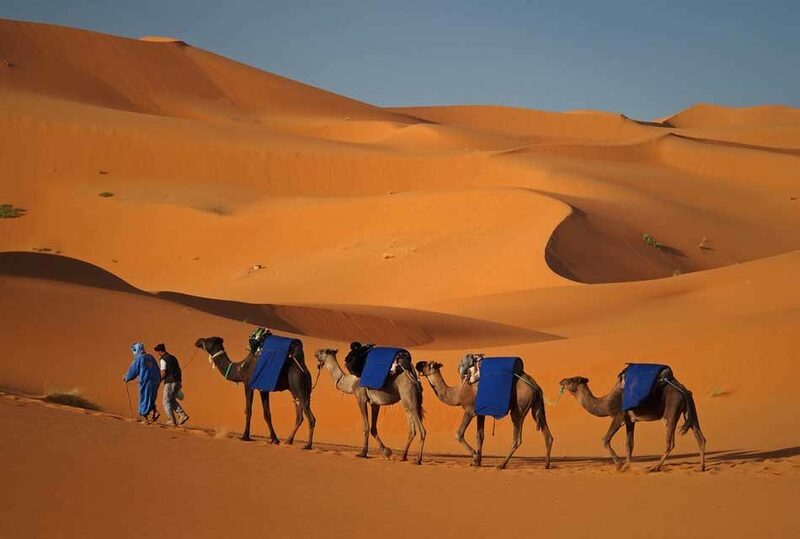 We are talking about Merzouga, which is similarly related to its name. Originally, it follows “el-Rashidia” territory next to Rissani. 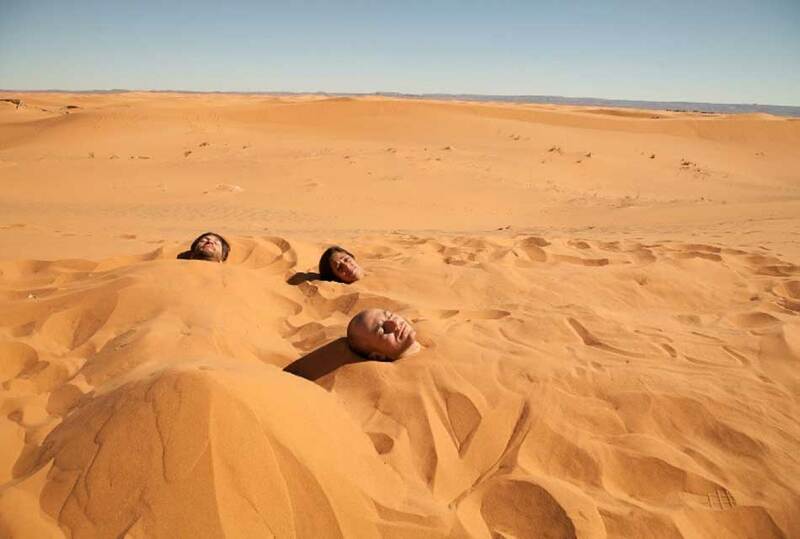 Merzouga is not a mountain space or a coastal area; it is rather a golden expansion of desert that blows the observer’s mind by the sand dunes vastly extended. The more amazing picture to be following through the eye is the green heavy spots in the middle of aridity. 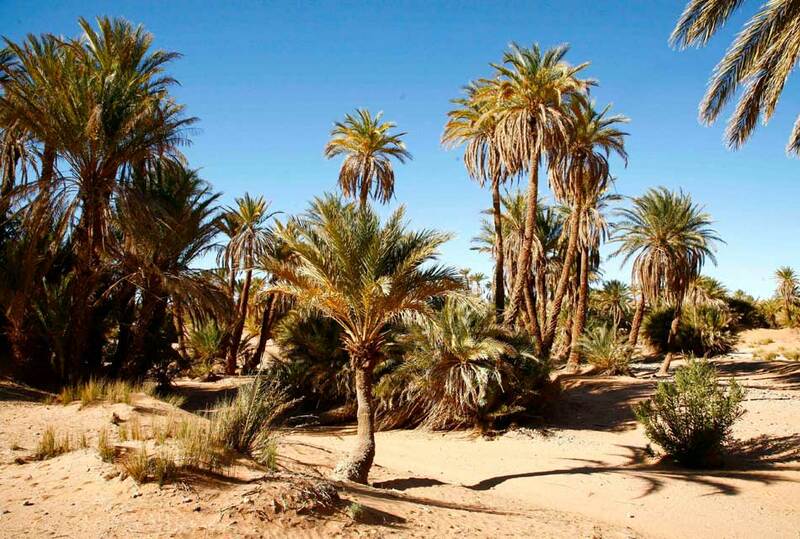 Merzouga, the pearl of Desert, includes oases of high palm trees surrounded by swampy growing plants where birds like flamingo, ducks, falcons, and other species are found. 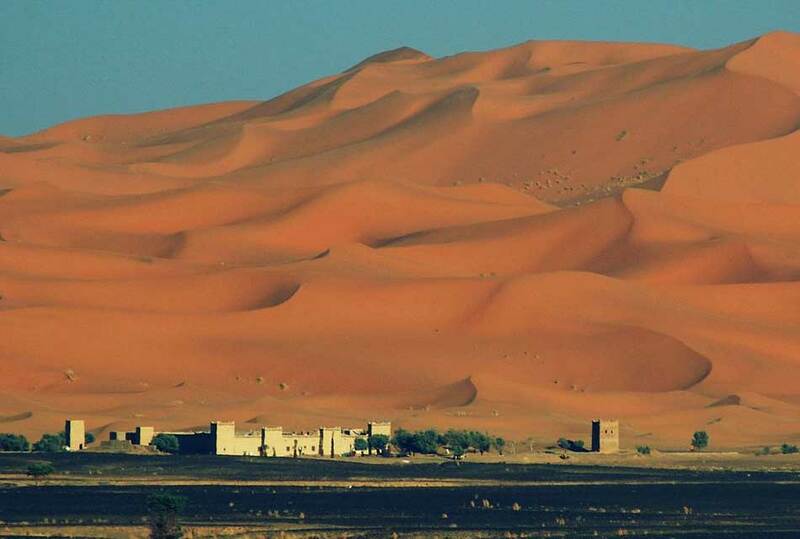 The area geologically belongs to a desert mass block called “erg chebbi” where many specific unique natural and ethnographic characteristics made the region incomparable. The desert area gains its significance throughout history and geography. 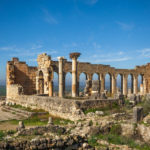 Historically speaking, it was flourishing used as a meeting point where boundaries between Mediterranean coastal region and Africa were vanished. If you take a look at the books written by famous travelers such as, Ibn- Batouta, you will definitely pass by the name of ”Sajlamsa” which is the ancient original place of Merzouga now. 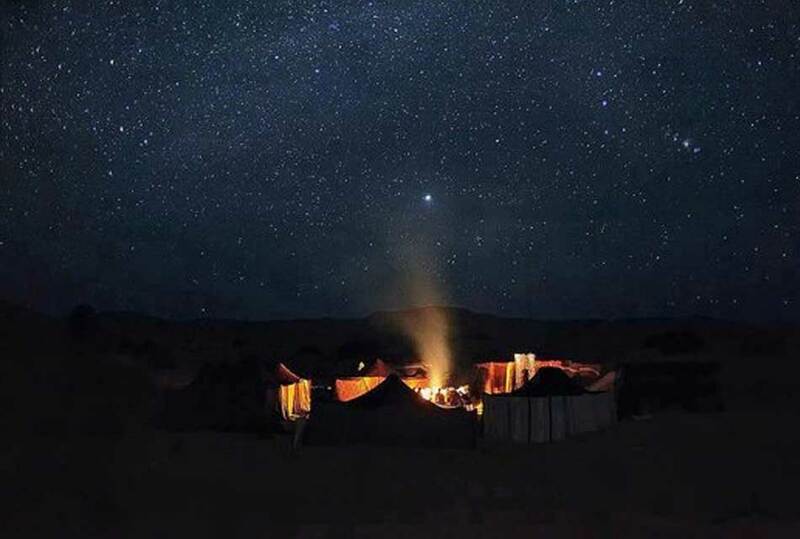 Despite the lack of basic fundamental structural constructions as having good living services, asphalt roads, and buildings, the habitants’ capability of adopting to harsh conditions of living in such a remote desert was really creative. 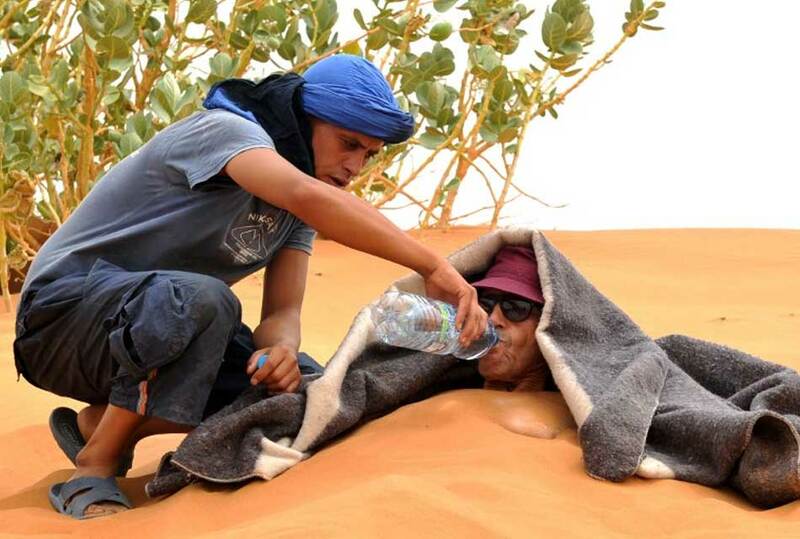 They were able to settle a social humanitarian life that had faced the unbearable climate of desert. The over high 50 c heat that is absorbed underground within the pearly little sands is considered as a kind of ecological treatment. 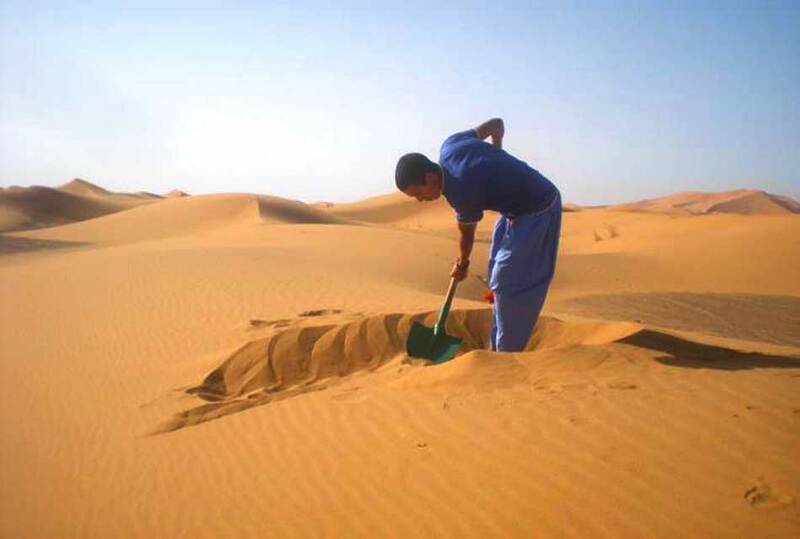 In the depth of the sands dunes, people who suffer from cold situations, joints inflammations, and many other illnesses can be buried according to specific traditions and professionally safe customs. Don’t be afraid hearing such information, this idea won’t bother you anymore the moment you recognize cure situational treatments told to you by the patients who had been subjected to this sort of ecological medicine practice. 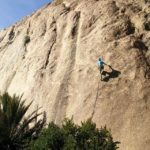 The sand of Merzouga had a great credibility throughout the years, the fact that made the area a real destination for tourism and hospitalization. 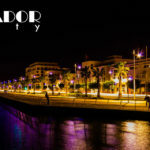 Hundreds of visitors annually come to the area from different Arabic and international countries, for example, France, Spain, United Kingdom, and other surrounding places. We cannot deny that tourism is an essential factor of the region’s life refreshment. 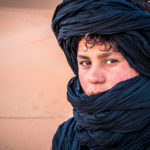 Moreover, the marketing of local popular industries is a quite widespread fashion including conventional industries of famous desert costumes and other unique accessories. The best suitable time to visit the golden sea is between summer time and spring, whereas March and April are considered as the most favorable seasons. Temperatures then are nearly mild and warm not as hot as summer days. 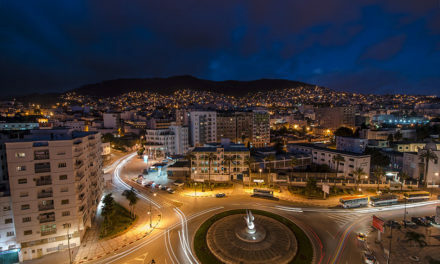 Since tourism has become a vital source of the area’s income, many hotels and modern buildings have been built in the surrounding area of Merzouga. They are all well-decorated in a type that adopts the environmental climate of desert. 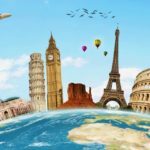 Don’t get anxious about the costs, in spite the moderate level of living in the area, the hotels are designed to serve you providing elegance with the most convenient costs. Many activities can be done here in the middle of the soft spacious land. 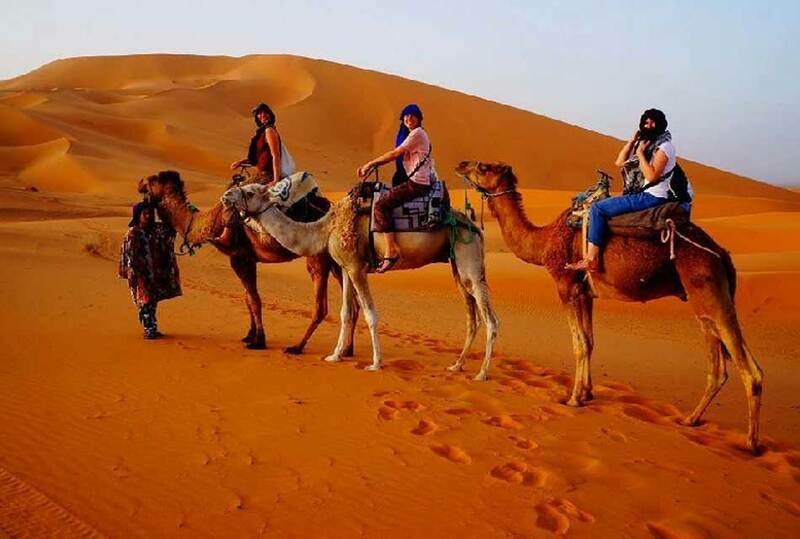 However, visitors can ride camels in popular tours around the magnificent sandy hills or they are also able to use 4x4 vehicles during the adventurous moments among the dunes. 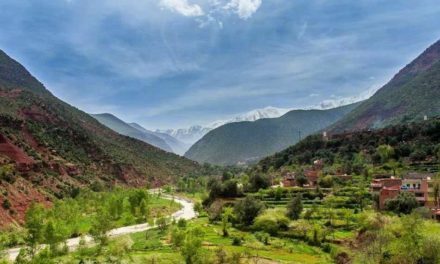 The main target of vitalizing tourism in Merzouga is to pass a humanitarian and cultural message by each individual visiting the area. 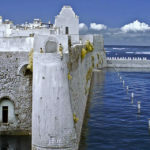 This is according to the inhabitants dealing with tourists and many visitors. This sandy glamorous spot can be an escape from work and daily life pressures. Don’t be amazed if one never comes back while entering the expand desert, it might be at sometimes a real danger because of its undiscovered secrets. 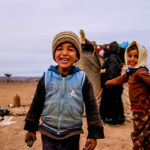 Despite of the facts mentioned previously above, Merzouga forms an attractively safe and tranquil place because of the gentle overwhelming native people live there. They are humble and generous folks who have lived tough conditions throughout their lifetime. 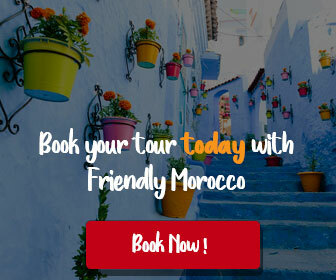 According to many, the unique landscapes where the most charming scene of sunrise and its set which paints the golden ground into a natural charming orange color can only be seen in Merzouga. 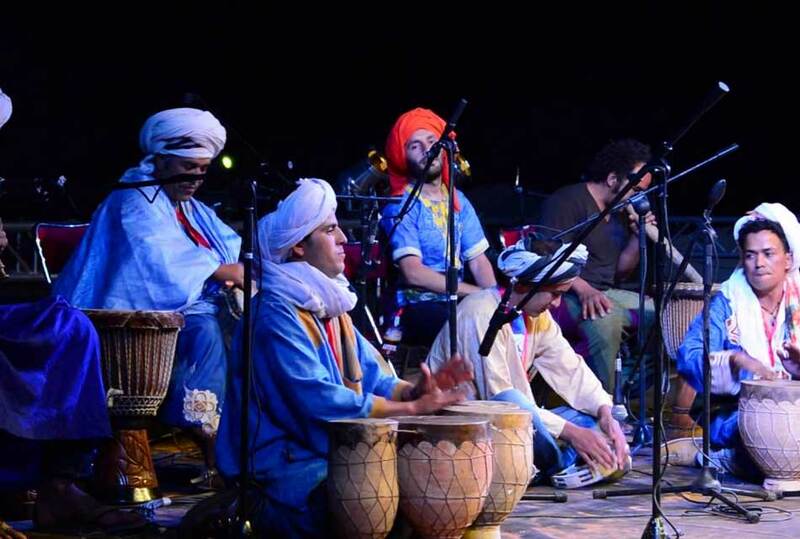 In Merzouga, you can enjoy open-air artistic festivals where you can listen to unknown magical tones of Tawarik music, Atlas and Tamazight rhythms. 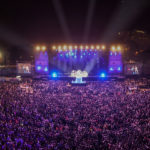 The Eastern Arabic along with the foreign Western dances are also introduced to create a spectacular performance that absolutely will not be forgotten. 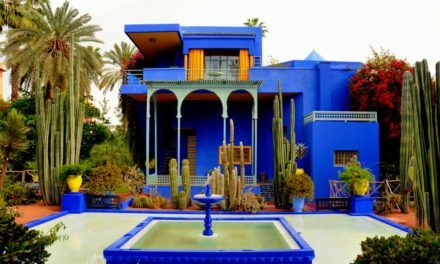 This wonderful place of Merzouga forms a cultural meeting point through a colorful elegant scene. A land where all secrets of humane essence, real natural charm, and warm serenity lurk deep down its pure ground. They are all combined together to tell the story of genuine relation with Mother Earth. It is the tale to be remembered to open eyes on a mythical-like terrain. 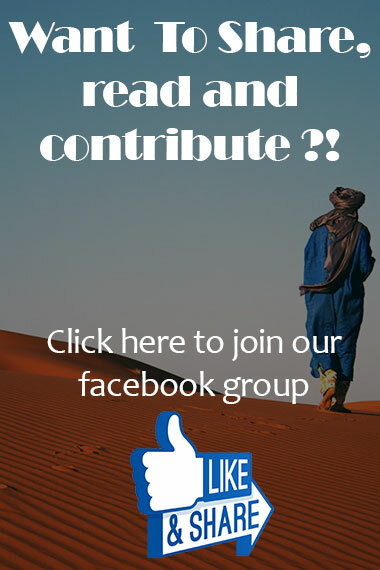 Don’t forget to share the post with your friends, comment below, what do you think about Merzouga, would you pay this magical place a visit? 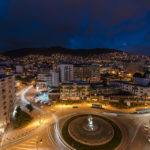 NextIfrane City… The Moroccan Switzerland! 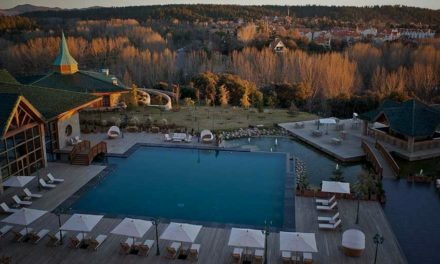 Ifrane City… The Moroccan Switzerland!